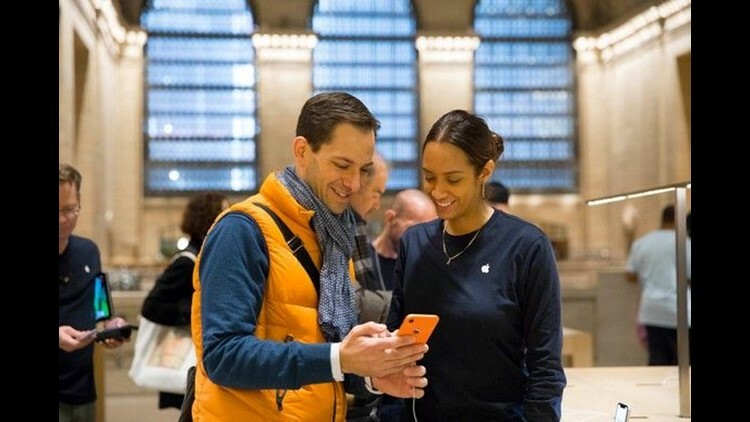 A man and a woman looking at a Coral iPhone XR. Who says the holiday season doesn't bring people—or, in this case, two near-trillion dollar companies—together? With just two weeks to go until Black Friday, Apple and Amazon appeared to have put their differences behind them with latest iPhones, iPads, Macs and other Apple gear officially beginning to arrive at the online retail giant's virtual shelves. The products, which also includes the Apple Watch and Apple accessories, will be sold and shipped by Amazon directly. The Apple gear will begin arrive to Amazon over the coming weeks and will include the latest iPhone XR and XS phones and recently released MacBook Air and iPad Pros. The HomePod, Apple's voice-controlled Siri speaker rival to Amazon's Alexa and Echo, will not be among the products soon to be available at the online retailer. Those third parties will need to become approved Apple resellers or their items will be removed from Amazon after January 4, 2019, according to CNET. Amazon confirmed the return of Apple gear to USA TODAY. "Amazon is constantly working to enhance the customer experience, and one of the ways we do this is by increasing selection of the products we know customers want," an Amazon spokesperson said in a statement. Apple and Amazon's issues go back several years, with Amazon in 2015 notably pulling the Apple TV from its virtual shelves after Apple refused to let Amazon release its Prime Video app for the platform. Relations between the two electronic giants began to thaw last year, with a Prime Video app arriving on Apple TV and the Apple TV returning to Amazon's store. As for the other major tech fight between Amazon and Google? Well, here's hoping the holiday love can spread a little further.